Posted in: Downloads, Mods, Screen Skins, Video. Tagged: pixel, sonic mania, studiopolis, Timelapse, Winamp. It has been so long, but I finally have a new update! I have been working on this for so long it is crazy to think it is actually finished! 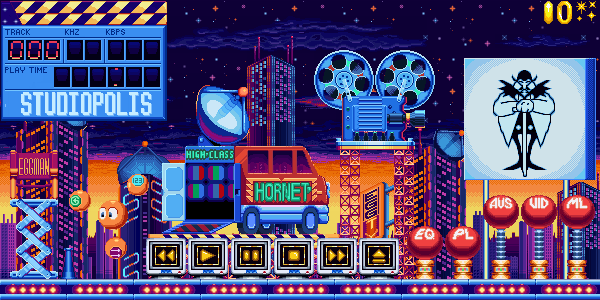 Created from seeing the “Hornet Van” in the Sonic Mania Debut video. 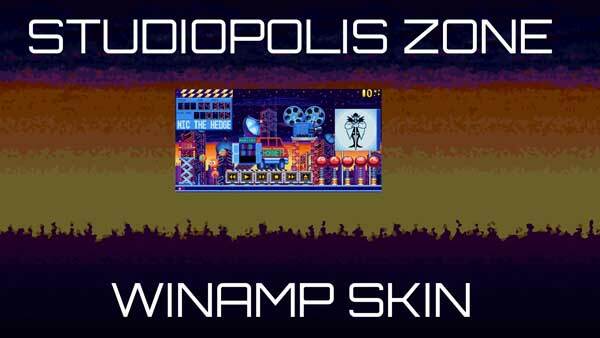 This is a fully functional skin for Winamp with all the bells whistles, created from redrawing all the sprites from scratch using the gameplay videos of Studiopolis as guides. 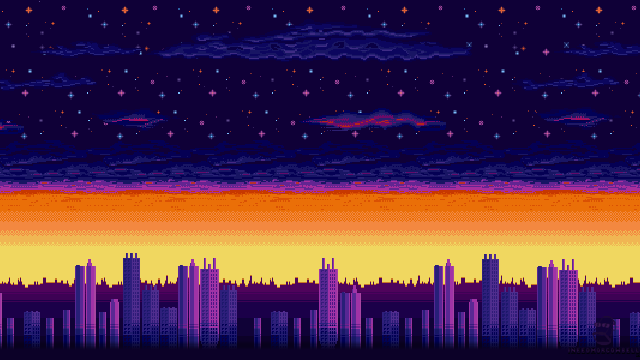 I really liked the background of the Studiopolis Zone, so I made a wallpaper of if with minimal distractions, just the small buildings in the distance! 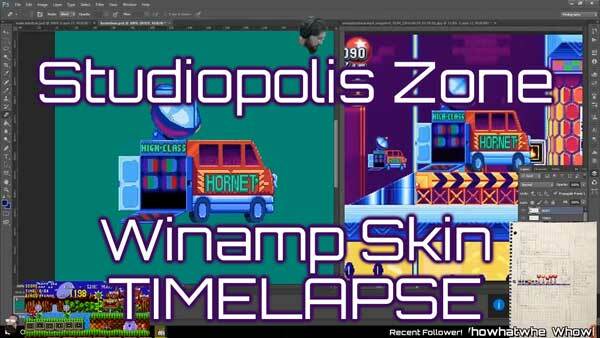 Video: A timelapse of the Creation of my Studiopolis Zone Winamp Skin! Of course I made a timelapse of it! It is 10 hours–>1 Minute at 60 frames per second. A lot of detail is kind of missed, I also used classic Sonic music and one new one from Sonic Mania, and it might not be safe to watch if you are prone to epileptic seizures…enjoy! Using a script I made for the Studiopolis Zone Skin, I updated my Green Hill Zone Skin with one that wont case GURU Error, and provides a new startup animation, and double vis for oscilloscope/spectrum analyzer.